Hello scrapper friends!! 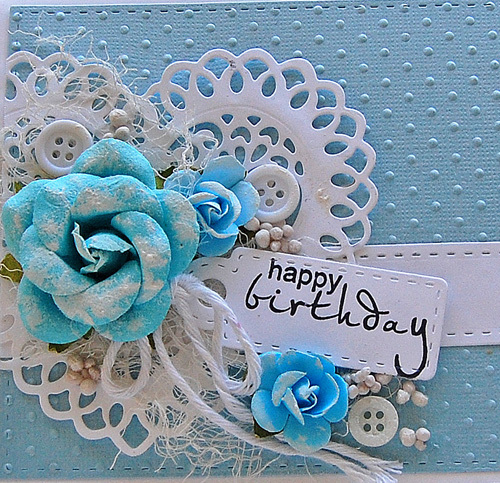 I have a Shabby Chic Birthday card that I made as Guest Designer for 3L Scrapbook Adhesives with their fantastic products. 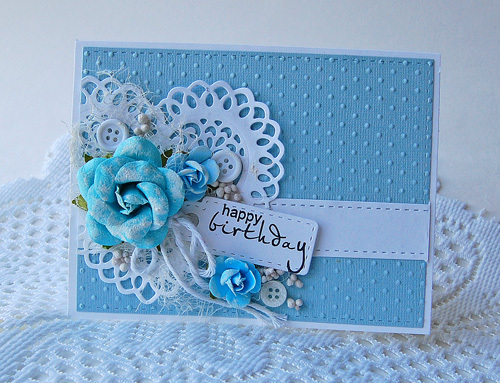 Place a piece of 5.25 x 4 inch blue cardstock card panel to a white card base with E-Z Dots® Permanent Refill. 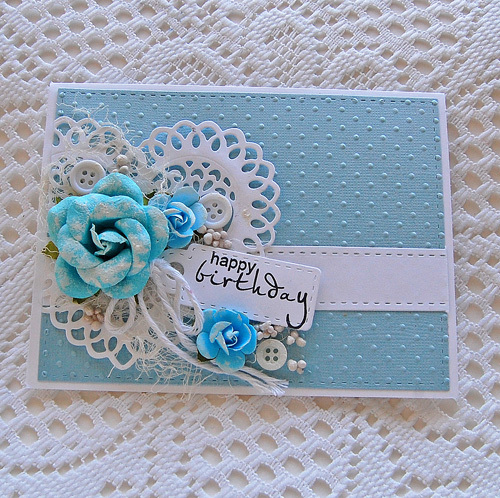 Cut a piece of 1 x 5.25 inch strip of white cardstock and adhered it to the card front with the E-Z Dots® Permanent Refill. Die-cut a heart and adhered it with the Dual Tip Glue Pen on top of the white cardstock strip. Trim excess off the edge. 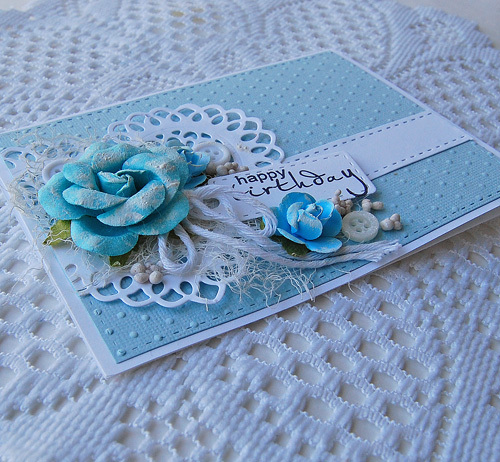 Layer and adhere flowers, buttons and piece of cheesecloth on top of the heart die cut with the Dodz Adhesive Dots Medium. For the finishing touch, adhere art stones with the Dual Tip Glue Pen. Now it’s ready to go in the mail! Here are a few more images of the finished card.